If you plan to start a lifestyle business because you are more interested in exploring and celebrating your personal passions than you are in chasing investors, then you should already be well aware of the value and impact that social media marketing can have on your bottom line. There are a number of social media sites that stand ready to help you gain exposure, interest, and eventually, more business. But, not every type of business needs to set up shop on every social media site. For example, if yours will be a business that relies on a lot of visuals, such as an art gallery owner or home decorator, then you will want to invest some time in setting up a social media account on Pinterest. Pinterest is a hybrid media sharing and image bookmarking site where users upload and pin images and videos. One of the best features of Pinterest is that the user has the ability to organize images and videos based on themes. This can be of particular importance to a business that offers a variety of products and services. Users set up separate theme-based boards under their accounts and then ‘pin’ relevant pictures and videos on each board. For example, as a home decorator you would create boards, such as ‘Master Bedroom’ or ‘Contemporary Living’, and then pin photos and videos of your work on each board, as well as relevant photos and videos from related users and websites. • The most important step is to maximize keywords in the board titles and board description, as well as the image or video itself (that’s how people search for topics of interest to them). • Each image and video represent your business. Be selective and only post the very best images of your work. Even if the job turned out beautifully, it’s best not to pin the image or video if it doesn’t do it justice. • Create and pin infographics (Top Ten’s, short how-to’s, etc). This establishes you as an industry authority. • Include your business website address and/or Facebook and Twitter information on every unique infographic you pin. • Don’t overdo it. Just as with any other social media site, engagement is key. Don’t immediately begin promoting your products. Build rapport first. • Take time to find other users to follow, and pin their images and videos to your board. This is the way users network with each other on Pinterest. If you pin their images, they pin yours, and each of your followers will see the others’ images, which means more exposure for you. Pinterest is also a great site to use for those whose lifestyle business may not traditionally be considered visual. For example, if you restore or repair vehicles, Pinterest would be a good place to show the results of your completed work. Before and after shots do wonders to promote business, as do how-to infographics. So, you are displaying your work, gaining followers and exposure, establishing yourself as an industry leader, and getting free advertising. All of this is happening at zero cost to you. But, just how much exposure can your company get by setting up an account on Pinterest? Is the time and effort really worth it? In a word, yes! • Pinterest is a wildly popular social media site that is focused entirely on visual aesthetics, and its user base is growing by the day. Just take a look at the numbers. • Launched in early 2010, Pinterest was already listed on Time magazine’s Top 50 websites in August 2011. • In January 2012, Pinterest had 11.7 million users, which made it the fastest site to ever reach the 10 million user mark. • As of June 2013, there were 70 million registered users on Pinterest, which is a jump from February 2013, when they had 48.7 million users. That is an increase of over 20 million users in just a few short months. • Pinterest now has 85.5 million unique monthly visitors. It’s easy to see that Pinterest is on fire, and it just continues to grow. By harnessing its popularity for yourself, Pinterest can become a powerful free advertising tool for your lifestyle business. 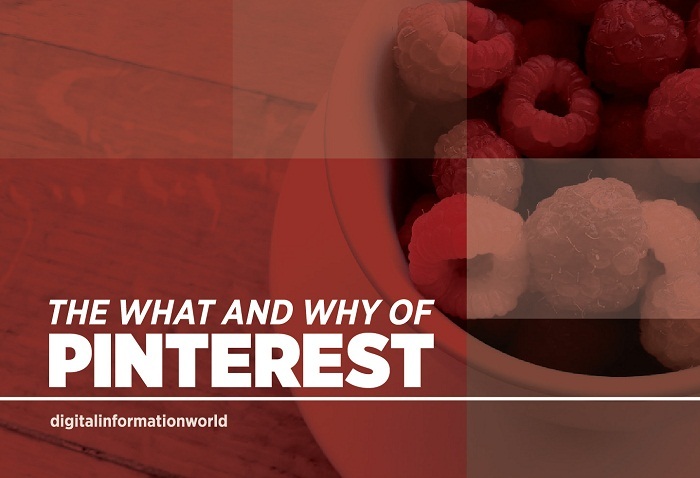 The infographic "The What and Why of Pinterest for Business" is courtesy of bigideamarketing. Author Bio: Rose Mary is a business and market researcher with over 20 years of experience. He has been extensively involved in exploring the impact of technological innovations on business organizations, enterprise culture and organizational processes. Currently, Rose is conducting a series of marketing experiments on how web-based tools like ProProfs - Knowledge base software.